Peart Fencing is designed for use in virtually all locations where safe, secure and attractive fencing installations are important. Peart Fencing is well established as a major force in the industry concentrating on providing outstanding customer service, great fencing products and competitive prices. Enter your information and details below to allow a sales representative from Peart Fencing to calculate a quotation appropriate to your needs and details. 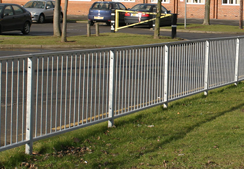 Peart Fencing has developed a reputation for being one of the premier UK fencing suppliers. 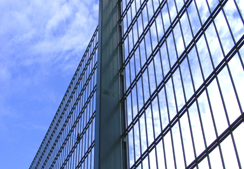 For those who are in need of fencing supplies, such as palisade fencing, mesh panel systems, bow top railings, and security fencing, among other products, Peart Fencing is able to provide affordable solutions for businesses and organisations across a wide range of sizes and applications. Peart Fencing continues to provide outstanding customer service, quality-ensured fencing supplies and competitive prices to both new and returning customers. If you can't find the information you need on our website or would prefer to speak directly to a member of the estimating team about your fencing project, please give us a call we'll be happy to help you. You can also receive an online quote by providing specific details about your project on our quotation page. We will then contact you with a price based on your individual needs. 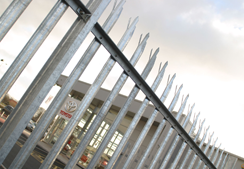 Peart Fencing manufacture and supply a range of galvanised metal fences including MasterView mesh panel systems, palisade fences, metal railings, security fencing and pedestrian guardrail barriers. We manufacture all our fencing from our 10 manufacturing plant, which means that we can also design and supply bespoke fencing systems to suit your requirements. 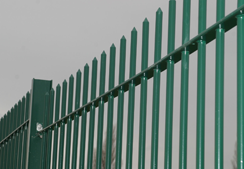 Our fencing products are most commonly associated with commercial properties, public sector organisations, civil engineers, landscaping contractors and fencing contractors. 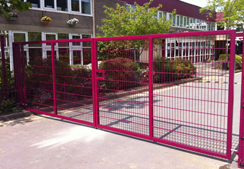 Whether you're looking for fence panel systems or metal gates, we can help! A choice of finishes, designs and bespoke gates have made Peart Fencing systems the premier choice for contractors around the country. We're committed to providing and developing new products that provide both contractors and users with key benefits including speed of erection, versatility and the life cycle expectancy. Our distinguished reputation has been developed through years of interaction with a wide range of clients. We have a loyal customer base who are proud to be associated with Peart Fencing time and time again because of our expertise in the business and our commitment to outstanding customer service. In our pursuit of domestic privacy and security, it stands to reason that the construction of a fence around our home or place of residence would be an entirely worthwhile pursuit. That being said, this simple act carries ramifications that are entirely unique to its design, namely the consequences incurred when erecting a fence that is simply too high.